After a short sabbatical, I am back with the new year. The Lunar New Year will ring in on Feb. 9, 2016, ushering in the “Year of the Monkey”. And Taiwan has a new president, the first woman to lead the country. On Jan. 1st, 2016 the Sustainable Development Goals (SDGs) went into effect. How can we continue to live on this small planet when industry and population keep growing? We have 15 years to find out. Last year was a great year for the environment. In September, at the United Nations headquarters in New York, the Sustainable Development Goals (SDGs) to 2030 replaced the Millenium Goals, and provided a needed boost to the COP 21 in Paris. which ended in cheers and applause. What is all this? To me it still all sounds very much like the rules we had to abide by when we all went to kindergarten. The Earth Charter Initiative mirrors the SDGs. 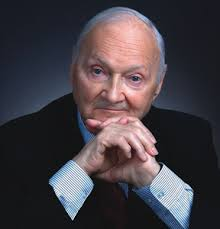 On Nov. 28, 2015, one of the founders of the Earth Charter and the first Secretary General for the United Nations Environment Program (UNEP) was Maurice Frederick Strong. Please take a moment to read the tribute to his legacy. This quote really pinpoints the struggle humanity has been wrestling with on an the ever shrinking planet. “We are victims of ‘the struggle between ecosystems and egosystems’. Please take a look at the SDG’s and feel free to comment on how we could best work towards achieving these goals from Okinawa and to the world. From the Martin Luther King Day, the “Earth Charter Asia-Pacific Ryukyu-Okinawa Conference” was started in order to better promote sustainability from Okinawa to our neighbors from the Ryukyus to Taiwan to Rapanui. Promote sustained, inclusive and sustainable economic growth, full and productive employment, and decent work for all. Take urgent action to combat climate change and its impacts (taking note of agreements made by the UNFCCC forum). Conservation and sustainable use the oceans, seas and marine resources for sustainable development. Protect, restore and promote sustainable use of terrestrial ecosystems, sustainably manage forests, combat desertification and halt and reverse land degradation, and halt biodiversity loss. To find out more about the post-2015 process and the open working group on the sustainable development goals visit the Sustainable Development Knowledge Platform.